Would you like to discuss a brief? What is the difference between having a website designed and having a website built? In most cases when you approach a design company to build you a website they will ask for 3 things, pictures, graphics and text. You will likely be missing at least one of these three if not all. In our opinion there is a huge difference between having a website built and a website designed, a lot of people claim to be website designers but they will very often just fit your website around a template, using stock photos, colours and graphics. At Initial Ideas we design websites, as we have all the magic pieces of your brand, from your photograph, logos, colours and graphics. Applying these makes your website truly unique and keeps the brand flowing through your website. 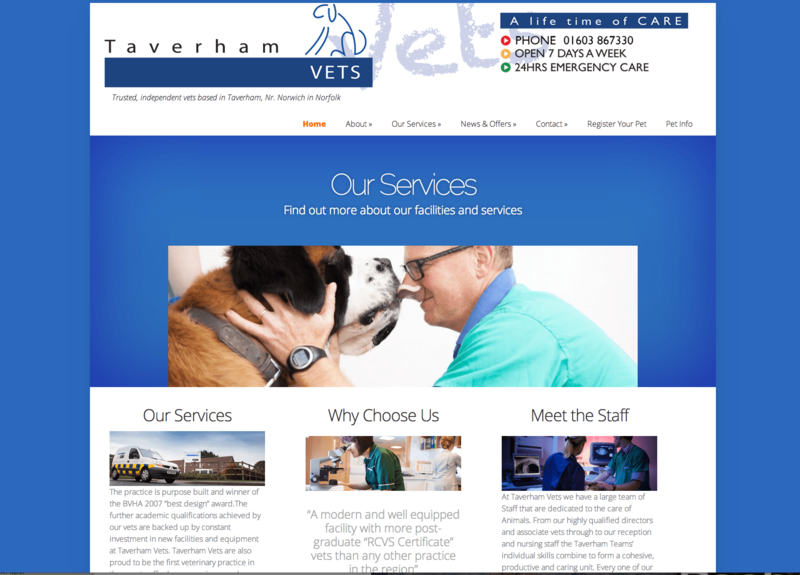 We aim to give you a veterinary website that is on brand and completely bespoke. Your website should instantly be visually impacting enticing the reader to read-on and browse all the pages. 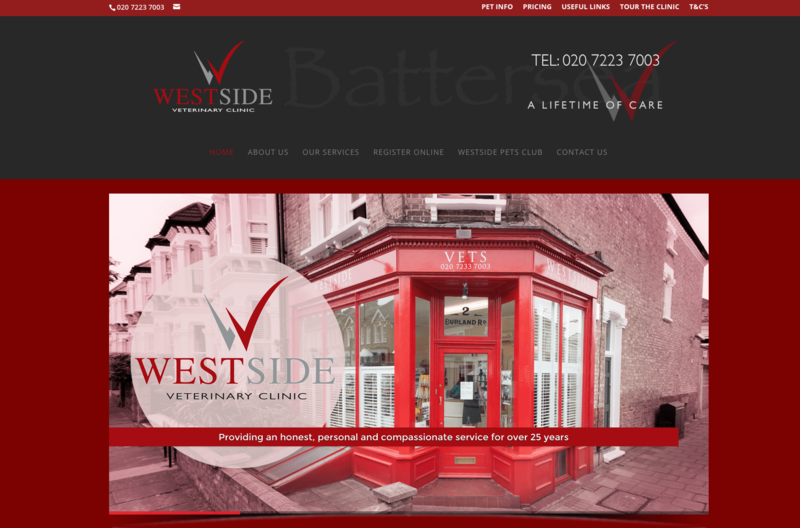 We design our websites in house, working for veterinary practices all over the UK. 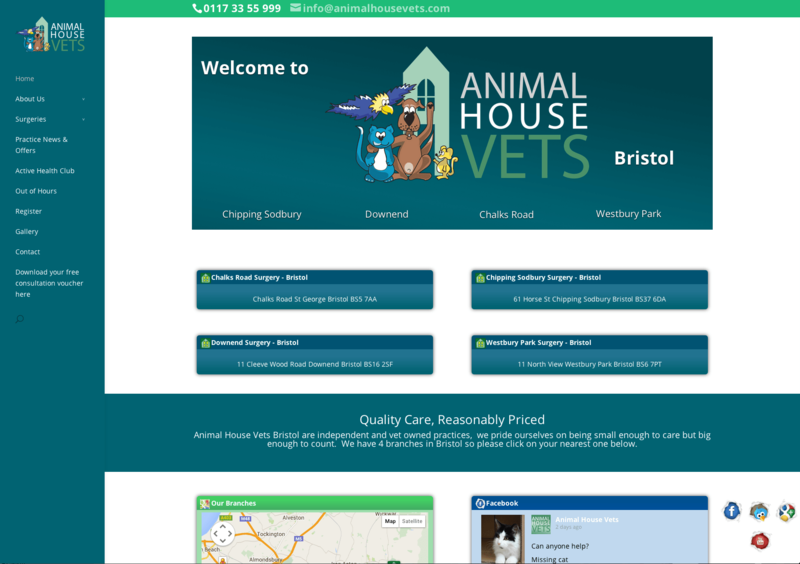 Another vital part to great veterinary websites is making sure they are dominant and visible on all search engines, all the websites we design incorporate SEO. We found a lot of our practices liked the option of being able to adapt and update certain pages on their website from their practice, so we can also offer back end usability on all our websites. 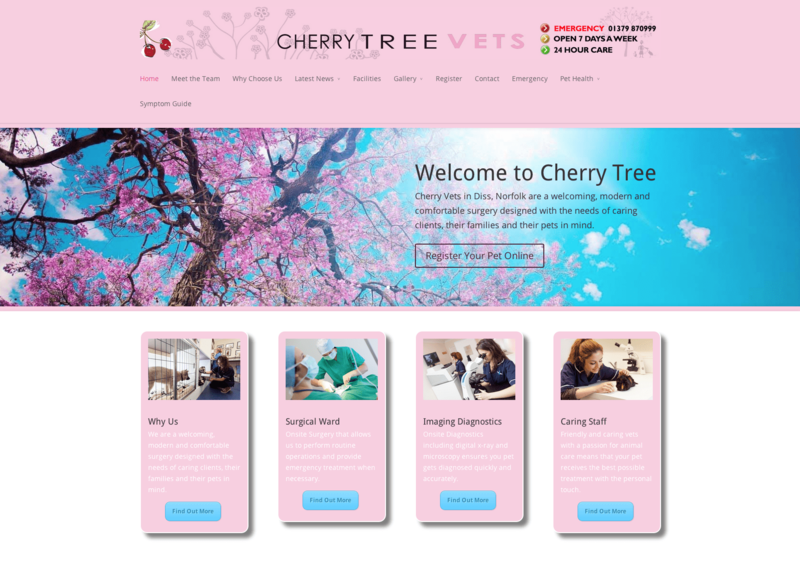 If you would like to discuss having a website designed by us, get in touch! We will design you a new website based around one of the leading content management systems – depending on which suits your business better, either WordPress, Magento or Joomla. We manage your hosting, website, cms and content updates. We can also train you to make updates your self if you wish. We manage your social media accounts (Facebook, Instagram, Twitter, Google+, Pintrest) so that they deliver the best possible R.O.I. We don’t add content to your social media, we make the content you add easier to produce and distribute. All of your social media can be managed from a single social network that you choose. See how we can help your practice!